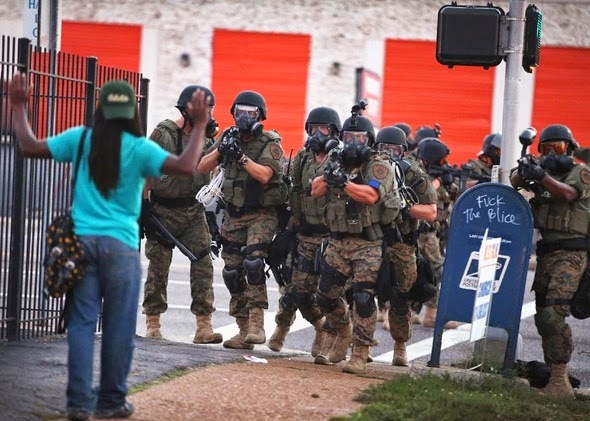 If you dress police officers up as soldiers and you put them in military vehicles and you give them military weapons, they adopt a warrior mentality. We fight wars against enemies, and the enemies are the people who live in our cities — particularly in communities of color. — Thomas Nolan, criminology professor and former police officer. 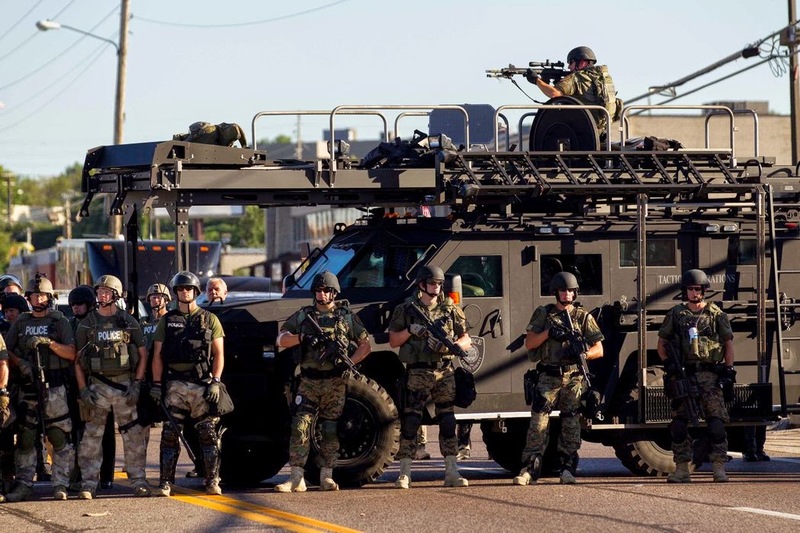 The Frein operation brought together 1,000 officers from local, state and federal law enforcement, as well as SWAT teams and cutting edge military equipment (high-powered rifles, body armor, infrared sensors, armored trucks, helicopters and unmanned, silent surveillance blimps) — some of the very same weapons and tactics employed in Ferguson and, a year earlier, in Boston in the wake of the marathon bombing. Contrary to DHS rhetoric, however, militarized police — twitchy over perceived dangers, hyped up on their authority, and protected by their agencies, the legislatures and the courts — have actually made communities less safe at a time when violent crime is at an all-time low and lumberjacks, fishermen, airline pilots, roofers, construction workers, trash collectors, electricians and truck drivers all have a higher risk of on-the-job fatalities than police officers.